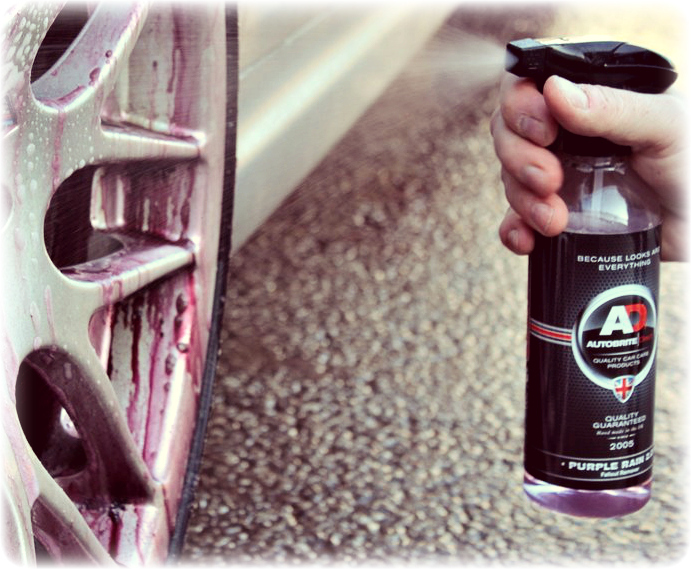 Purple Rain 2.0 by Autobrite Direct! 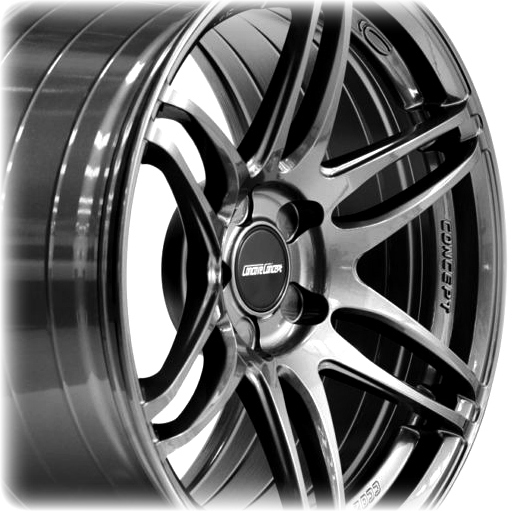 Removing dirt, grime, brake dust and fallout instantly from your alloy wheels! Get a Higher-end professnioal grade product with faster reaction times to remove even the heaviest contamination from the surface. Suitable for use on all varnish surfaces. For Orders Over 5 Liters please contact us for a quote, Don't Pay full price! 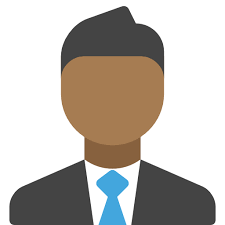 We aren't just about selling a product, our team is avilalabe post purchase also. 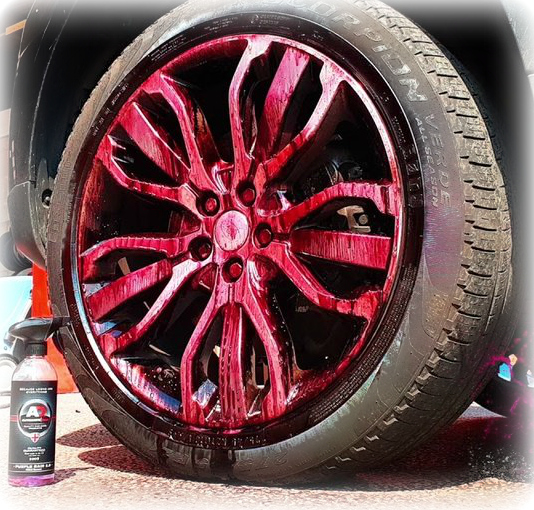 Created and tested specifically for cleaning wheels and paintwork with over 20,000 bottles sold and manufactured right in the United Kingdom, You don't have to worry about the cheaper knockoffs. Enhanced formula PH balanced Iron remover/cleaner designed to dissolve brake dust and Iron contaminants upon contact. Nothing worse than spraying your cleaner on and losing 50% on the ground, we re-engineered Purple Rain 2.0 to minimise product run-off. 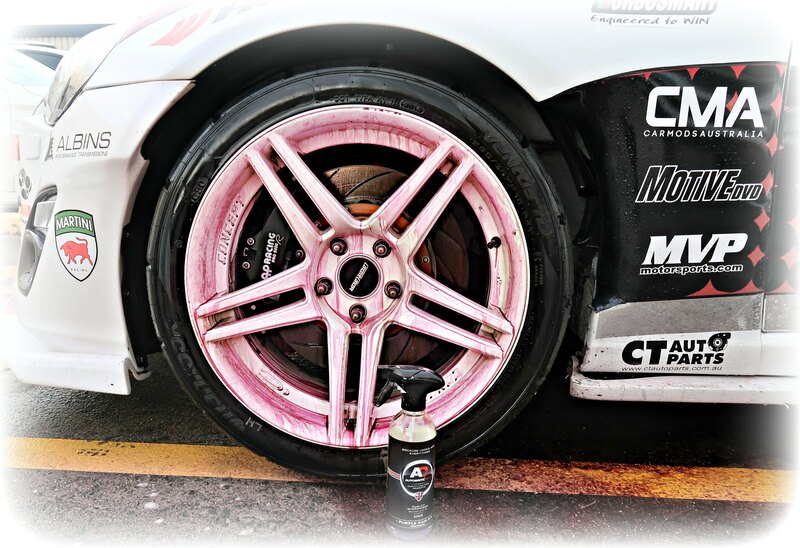 This wheel cleaner is safe for all wheel types including clear coated wheels, factory wheels, 2 piece, 3 piece, alloy, custom alloy and polished alloy wheels. This also can be used on Ceramic Brakes found on such cars as Lamborghini, Ferrari, Porsche, Aston Martin, Audi, etc. 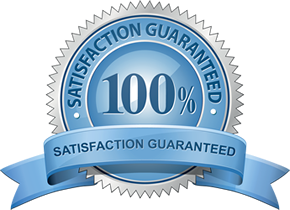 We take pride in providing you with the highest level of customer service. 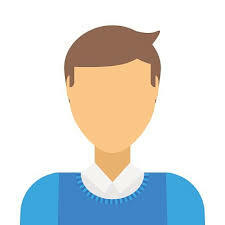 We take the time to answer any questions you may have about your your prodcut, We’re so confident you’ll be happy with our level of customer service that we guarantee it! Wow.. this stuff is amazing. Smells a bit like burning hair when it's working on your wheels but I couldn't believe how well it does. I get my car pro valeted once a month and weekly I do a clean myself.. even my valet thought I'd gotten new wheels as the inner wheel was pristine. I was pleasantly surprised how well this stuff works, spray it on and it instantly starts turning the wheel purple as it starts eating away the brake dust. I found spraying it on thick and leaving it for 30 seconds before using a pressure washer to blast it off worked best. It cleaned off the majority of the wheel dust without any extra effort even managed to clean the inner barrel of the wheels which looked like they had never been cleaned in the cars 3yr old life, something i wasn't trying to do. 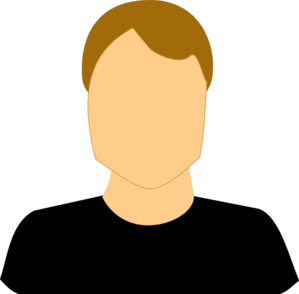 The only downside was i did have to lightly agitate the front facing side to get off some spots but even so still a lot less work than the stuff i usually use. Had to replace a brake caliper on my mini cooper. Back alloy was covered in bits of brake disc. Have only given it a quick spray this afternoon to try it out, didnt even rub it, just rinsed it off. Most of the muck has just rinsed away. Blown away by this product.